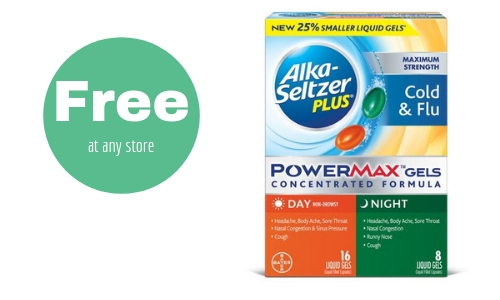 Home > Free > Free Alka-Seltzer Plus PowerMax Gels at Any Store! Free Alka-Seltzer Plus PowerMax Gels at Any Store! Go ahead and add this to your next shopping trip at any store! There is a new rebate for Alka-Seltzer Plus PowerMax Gels that is good up to $11.99 at any store! We’ve also got a sweet $3 off printable coupon to help lower your up front cost. Note, your rebate will be the price you pay after the coupon. Limit 1 rebate per household, make sure to purchase by 11/4.